Did last week's gas spike give you whiplash? Gasoline is one of the bills that keeps going up. Our frugal friend Liz MacKay tells us how to slow down and save on gas. 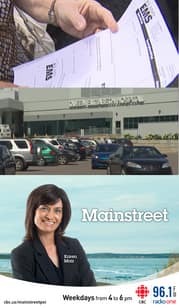 You can follow her on her blog Fighting To Be Frugal. It seems almost everyone has a cell phone these days, but many people are surprised by the over-the-top cellphone bill. 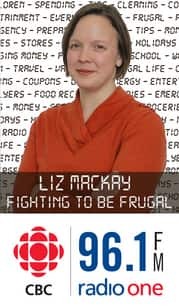 Our "Fighting to be Frugal" columnist Liz MacKay stops by with tips on saving on cellular. You can find her blog at fightintobefrugal and we've posted the quizzes and links she recommended when searching for a cellphone. When is an ambulance ride covered by the province, and when do seniors have to pay out of pocket? That was the question raised at a press conference in Souris. The PC's brought a couple Island seniors with billing problems to the event. CBC's John Jeffery spoke with Spurgeon Hazeldon of Souris, PC MLA Colin LaVie, and Richard Wedge with Health PEI.